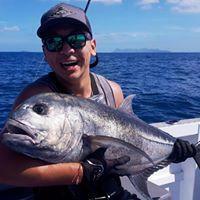 This Sunday 25th March 2018 from 12.00 pm to 2.00 pm is the 3rd meeting for Wynnum Fishing Club hosted by OzFish Unlimited. This meeting is for OzFish Unlimited members and people interested in Wynnum Fishing Club events. It is not mandatory but I would encourage you to join OzFish Unlimited. It costs $25.00 to join and is a great organisation. You get a nice hat, sticker and the knowledge that you are actually improving Australian fishing. Location is at my house in Wynnum so please PM me if you need the address or my phone number. There is a $2 Sausage sizzle and feel free to bring along a beer if you would like one.